India has long depended on coal-fired power plants to meet most of its energy requirements. 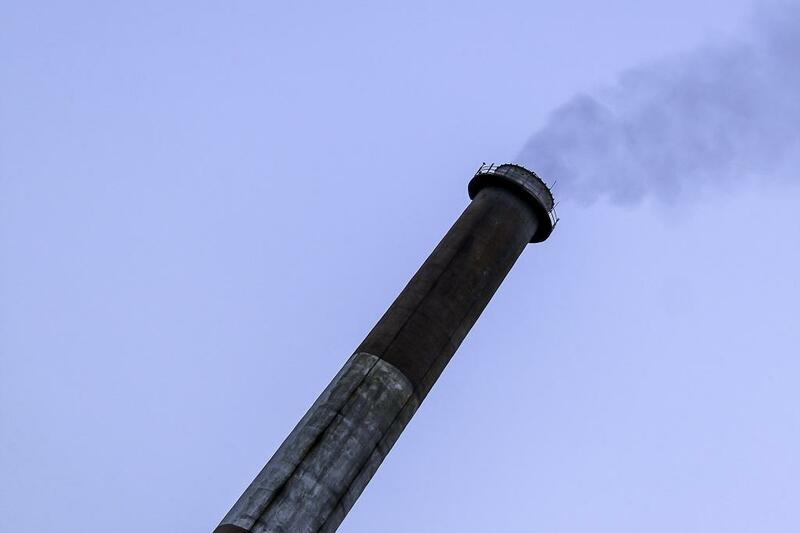 While there always exists a debate on the merits and demerits of investing in them against other technologies, coal power plants are certainly facing an uphill task. A new report launched by Carbon Tracker shows that 40 per cent of the world’s coal power stations, including in India, were already running at a loss, challenging the need for new coal generation. The report also argues that there is economic merit in closing down power plants in line with the 2015 Paris Climate Change Agreement. The study covers 6,685 coal units which represent 95 per cent (1,900 GW) of global operating capacity and 90 per cent (220 GW) of capacity under construction, and looks at current and forward-looking estimates of the (short and long-run) operating cost, gross profitability, relative competitiveness, phase-out year and stranded asset risk in a below 2°C scenario. Interestingly, the report also points out that this assessment does not yet consider tightening environmental regulations and climate policies. The report notes three inflection points that have a direct bearing on the situation. Firstly, even by conservative estimates, renewables will be more competitive than coal in the near future globally. Secondly, differences between the wholesale power price and the cost of new investments in renewable energy will raise serious questions on the viability of coal power. Finally, changes arising due to better integration of renewable energy into the main grid have not been touched upon in this report. Coal capacity is bound to be shut, though the drivers depend on the nature of the market. The report notes that in liberal markets, where power generators are subject to competition, coal capacity will be forced to shut if out-of-market payments cannot be secured or environmental regulations are not reduced or delayed. Politicians in regulated markets like India, in contrast, have four options: close high-cost coal, subsidise coal generation, increase power prices to make coal viable, or subsidise power prices. The report claims that continued downward trend for the costs of renewable energy will allow the policymakers to provide consumers secure, affordable, and clean energy, especially in countries trying to push economic development while fighting air pollution. Also, in semi and highly regulated markets, the risk of coal power ends up with governments that underwrite the power purchase agreements (PPA). This will force consumers to address the challenge of keeping tariffs reasonable while costs of generation continue to increase manifold. In either case, governments stand to be at the losing end if they do not take decisive policy steps. The report also touches upon India, where it identifies $76 billion worth of power assets having definitive stranded asset risks associated with them. This means these projects will result in loss of money for investors and governments should the 2°C scenario come up. This was followed by South Africa, Korea and Japan among others. Further, the report pointed out that 62 per cent of operating and under construction capacity within India already has higher and long-run operating cost than renewable energy. The report is timely, as it follows the report by the High Level Empowered Committee (HLEC) set up by Centre in July 2018 that talked about stranded thermal power projects. The committee identified its reasons and suggested measures to resolve the challenges. The Carbon Tracker report, though global in outlook, also included data from India, making their findings even more relevant to the debate on stranded assets. Operating costs in India for thermal power stations are high, and this makes tariff increments inevitable at the consumer end, which remains an extremely unpopular move. Market distortions due to the old power stations had also been flagged by the HLEC report, which suggested closing down of such stations as one of the measures to provide relief to the stranded assets. A significant number of such units are operated by the generation companies owned by state governments, implying that taxpayer money is in any case being pumped to keep such stations alive. It would instead be wiser for the governments to phase them out with concrete timelines. Carbon Tracker’s report also raises questions on the feasibility of new investments of thermal power stations, which will find it hard to compete with the new renewable energy projects for a variety of identified reasons. In India, private sector pushes prices down for renewable energy but stays far away from the thermal power sector. In contrast, state and central government-owned generation companies continue to plan new power stations despite the National Electricity Plan identifying no need for new capacity addition for the next five years. As it is, projects in the pipeline are facing challenges due to environmental costs and lack of demand – measures are therefore needed to strongly discourage such tendencies. The report is an essential contribution to the debate on coal power’s relevance within the global context, and holds important takeaways for Indian power sector as well. It underscores in many ways the need to have this debate in India with an open mind. India will not be able to have secure, clean and sustainable energy if it continues to dither on the issues of stranded assets and the underlying causes driving the unprofitability of coal based power across the world, and not just in India.